I spent well over an hour talking to Rev. Ann Holmes Redding about how she was kicked out of the Episcopalian church for believing in both Christianity and Islam. After an enlightening chat where we even sang a few Islamic and Christian songs together, I saved the most burning question I had for last. 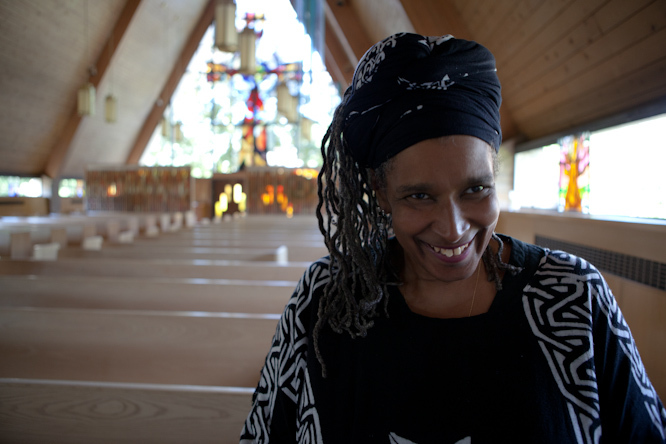 Yes, Ann Holmes Redding is an Episcopal priest and a devout Muslim. She prays five times a day and is fasting during Ramadan. On Sundays, she attends church and takes communion. I’m sure everyone wants to know how on earth does her belief system work. When it comes to Jesus, Christians believe in the trinity and Muslim’s don’t. It’s one of the fundamental differences between Muslims and Christians so how does she reconcile that? She gets that question A LOT and I didn’t want to do the same kind of interview just about every reporter does with her. But you can read about her specific views here. I wasn’t interested in debating her let alone do I ever feel like that’s what my role should be. Instead of me asking her what she believes, I was more interested in why she believes in it. What is the spiritual journey she’s taken on to get to this point and how have people responded to her? Ann is just as interesting on the outside as she is on the inside. She tucks her shiny silver dreadlocks underneath her black headwrap. Underneath her matching dress is a necklace holding Christian and Muslim pendants. She laughs in a set of short spurts to shrug off any tough question thrown at her. 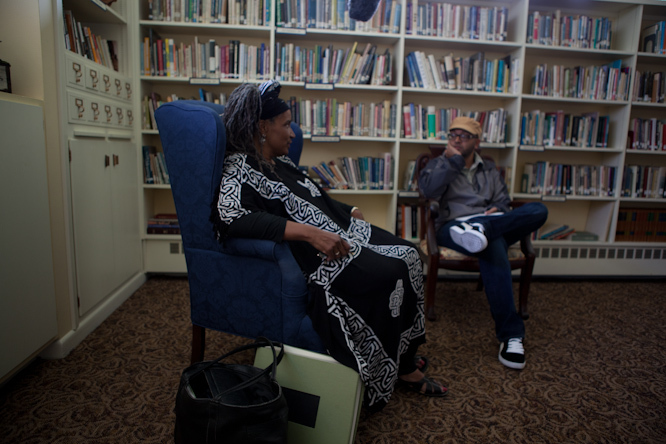 I sat next to her in St. Andrew’s Church in Seattle, talking about her life and even sharing a few songs together. Ann was raised Episcopalian in Pennsylvania. She grew up in a fairly liberal town where she regularly met people of different faiths. She explored other religions at a young age and said there were times in her childhood where considered being Jewish, Greek Orthodox and even Quaker. 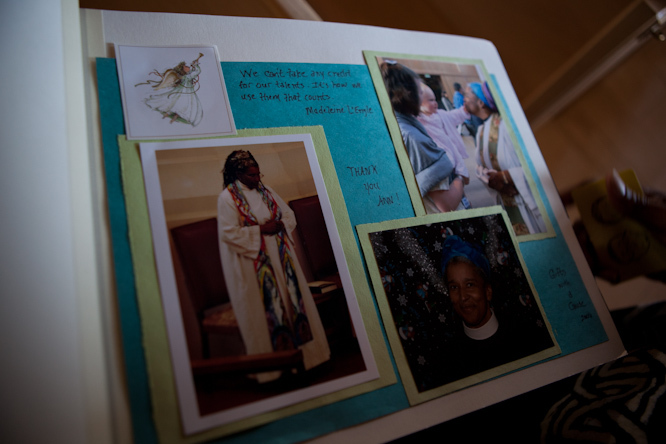 It was a natural journey, she said, for her to become a priest in the Episcopalian church. Islam didn’t play a major role in her life until 9/11. She was active in Seattle’s interfaith community and following the terrorist attacks, she started organizing Islam 101 classes to her congregation. For the next few years, the classes became a regular thing at the church. Then in early 2006, she was thrust into a journey that would change her life forever. It began with her mother dying and a few weeks later she was sitting with a local Muslim leader who taught her a Sufi Islamic song. She said it wasn’t necessarily the song that did it for her, but she soon realized Islam was something that she was longing for. She embraced Islam on March 25, 2006. Shortly after, she attended an interfaith event when she told someone what she had done. 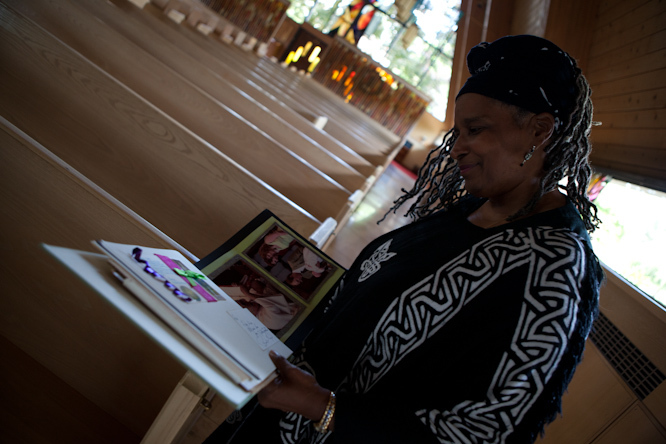 Word got around fast in the Seattle community that Ann was both a practicing Christian and Muslim, much to the dismay to the senior leaders of the clergy. In 2009, the church decided to “defrock” her, which formally removed her rights to be an ordained minister. She said she became a priest because she felt God was calling her to do so. Now, all of a sudden, that role was taken away from her. I asked her if that ever made her question her calling in the first place. 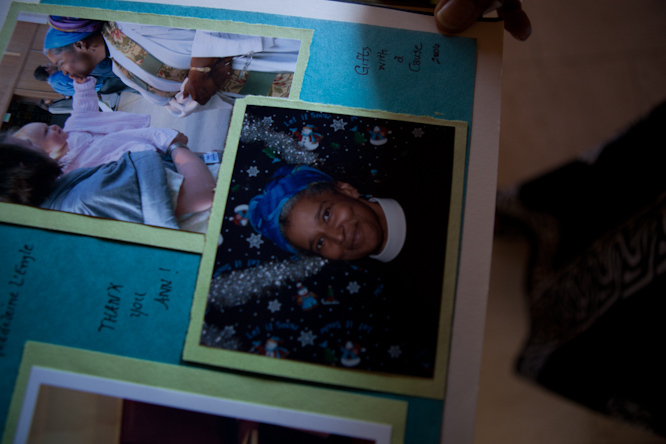 Many people in the church gave a sentimental scrap book she saved to this day. She says the gift is heartfelt, but given the circumstances she was given it, sometimes turning through the pages is difficult. Today, she delivers guest sermons and lectures around the country. Ann spends most of her time these days talking about herself and what she believes. Since faith is extremely private in nature and focuses on a personal relationship with God, I asked her how she deals with being so public with her beliefs. Does she struggle with being humble when it seems like all she does for a living is talk about herself? Since she’s both Christian and Muslim, I asked Ann which one she sees herself more as. There has to be moments where she feels like her beliefs clash with one another, right? Ann and I ended our conversation with one another by singing a few Christian and Muslim songs together. If anyone has seen me do karaoke knows I make Rebecca Black look like Aretha Franklin. But there was something about being in Ann’s presence that gave me no hesitation to sing along with her. Our brains might think differently when it comes to worshiping God, but for that short moment, we were on the same page sharing a moment singing God’s praise. She’s so strong. May Allah continue to provide her peace and resolution in her heart! It may or may not be Shirk but singing with a christian song is not sinful. You may say things but not mean them. What if you just like the song? Words are words and actions are actions and supplication to God truly comes from the heart and not word of mouth. I listen to rap music, doesnt mean I believe in everything being said and I do listen to christian music. Look up beautiful songs such as “Battle Hymn of The Republic”, “Nearer My God To Thee”, and “Ave Maria”. Actually there is uncertainty about Islam and it is not clear. The majority of Muslims in the world, from Iran to Pakistan to India to Indonesia have some form of Mazars and Durgas and believe that the concept of ‘waqalat’ exists where a pious Muslim can ‘vouch’ for others and they pray that these ‘saints’ will do so for them. A Salafist will call this shirk. Islam has many interpretations and I do not think anybody should be in the business of condemning others when this practice has gone on for over 1,300 years. There must be a reason why Allah has given permission to marry Christians without them converting. Furthermore, she clearly says in the article provided that she does not consider Jesus to be the son of God. Believing Jesus as son of God is shirk. God is neither human nor human like. Quran clearly says God was never born and God will never die. God has no family like humans do. God has no parents and no children. God is superior to any creations in all heavens and earths. God has no form, no boundaries and no shape. God is boundless and infinitude. Jesus is one among trillions of humans created by God. Jesus is one among hundreds of thousands of prophets sent out to mankind by God. Jesus, like Moses, like Abraham, like Muhammed, is a servant of God and is equally respected by muslims like how muslims respect any other prophet. When it comes to Islam what is Quran is the rule, not what other muslims do. Muslims do there are great many unislamic things, but cannot be accepted as Islamic if it is contrary to Quran. Islam is defined by Quran and not by muslims. You obviously have no background knowledge in Christianity. There are no numerous sect of Christianity that do not take the holy trinity as sacrosanct. Furthermore, I have pointed out numerous verses that indicate that some Christians ACCORDING to the Qur’an will be blessed. Just as some Christians will be accepted according to the Qur’an, a similar verse is in the Bible. In Revelation, God does not restrict only the Christians to be saved, but also the Jews who are worthy and righteous enough. This is a really great article Aman and I am looking forward to following your journey during Ramadan. I was at attendance at the event you did with the University of Cincinnati and it is definitely something that I will look back at and remember from my first year there. This woman is inspiration, in my opinion, and I admire her push for interfaith groups, it’s something that I hope to in someway bring to the university. While her position is definitely controversial from my understanding standing of Islam and from what others have pointed out, I feel that for many this may be the only viable step to both stay loyal to Christian roots while at the same time embracing their love and faith in Islam. It may seem like keeping a foot in each camp, so to speak, but that type of mentality is not what is needed in an America that often has a tribal mindset when it comes to Islam and Christianity (which people get confused with Western values.) Like anything dealing with faith, for many there is no a straight forward answer, but I think this woman should be embraced by both communities for if nothing more than what she potentially represents in modern times. This is so inspiring to see in America. In European Muslim cultures this sort of faith has been common for a long time now, and it is refreshing to see religion being taken to this place in a society that has traditionally seen the matter as black and white. In the Balkans, for instance, Ms. Redding’s sense of spirituality would be business as usual. Islam is not a joke. You can’t be both. To be a Christian, you must believe in the trinity and to be a Muslim, you must believe in Tawheed. The foundations of the religions contradict. I’m horrified that someone would promote shirk. Fear Allah before you judge others my friend. Try to under stand her view, and exactly how diverse Christianity is. I do believe in the Old Testament, so I am a Jew. I do believe in the New Testament and this makes me Christians. And yes I do believe In Quran and so people call me Muslim. BUT what is to be Muslim? The first thing that one should know and clearly understand about Islam is what the word “Islam” itself means. The religion of Islam is not named after a person nor was it named after a tribe. Islam is the religion of “Allah” and as such, its name represents the central principle of Allah’s “God’s” religion; the total submission to the will of Allah “God”. The Arabic word “Islam” means the submission or surrender of one’s will to the only true God worthy of worship “Allah” and anyone who does so is termed a “Muslim”. I know many of my Christian friends who take Jesus more as a human being/friend than as God. However, that does not automatically make them a Muslim or a non-Christian. not all christians believe in the trinity. @Elyas, read the latimes article about her beliefs, nothing non-Islamic there, in my opinion! If she says La ilaha ila’Allah and is genuine and believes it then she is a Muslim, a confused one but still a Muslim. It should be explained to her, in a mild kind way that Allah SWT has already perfected our religion for us and there is no need for any of us ro innovate it amend it or blend it. She also needs to be reminded that Mohamad SAW is the last and final Messanger of God and that we Muslims love Jesus AS but as a prophet not the son of God or God himself. Astagfirullah. If she is ascribing a son to Allah SWT then sadly yes she is upon major shirk. @Abu..Listen to her in this video…twice she says La ilahi ila’laahu.And stops there…This is a major shirk…In my point of view, she is not a Muslim…She’s like a false claimer…Shirk is a major sin..You cannot associate Allah with any other thing…I just cant believe how the brother entertained her corrupt persuation of believe system…He should’ve told her “your confused, my religion does not condone your wicked blending of religions”..
Doesn’t that mean “There is no God but Allah”? How is that shirk? This may be naive of me, but at the end of the day isn’t it up to God to decide who is and isn’t muslim? Everyone has a right to their opinion so I won’t ask you to change yours, but I will ask that you maintain a respectful tone. Different people have different paths and this blog should remain a safe space. Get off your high horse Elyas. There are bigger things in life. Why bring up homosexuality? I don’t understand people like you who think by being religious, you have to be the biggest pompous prick alive. you sould like those irrelevant people who cant push forward a debate and need to catch on people’s smallest words. grow up and learn proper debating skills sir. Thank you Aman & Bassam for profiling this courageous woman. My first reaction to seeing this post was: “Finally, someone I can understand!” I was raised Baptist, have recently attended a non-denominational Christian church but feel a very strong pull toward Islam. I often feel that my faith can’t be put in a box, or defined in black & white terms. It takes a person of strong faith to “come out” as such, and I admire Rev. Redding for her convictions. I really related to this post Aman. I find that the journey of spiritual exploration doesn’t always land at one station so to speak. There are so many beautiful components within different faiths to relate to that I can see how she felt the need to keep a foot planted in each religious community. Thanks for sharing her story, it really moved me. 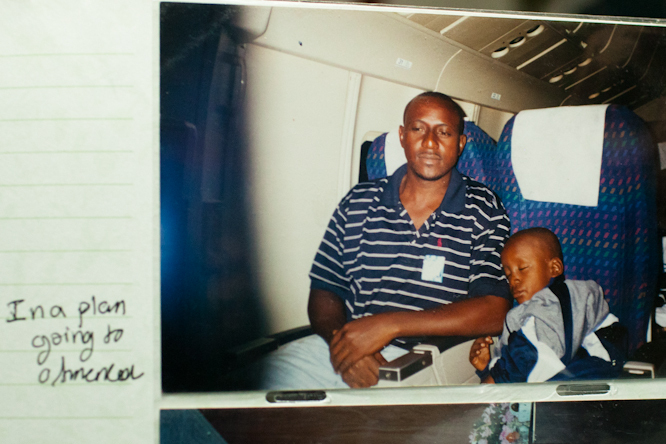 Safe and joyful travels – keep those human stories coming friend. I think the point of this exercise is to see different kinds of Muslims in different kinds of places. I do not understand why people come here wanting to judge people with no pretext or right to do so. Allah will decide who is a Muslim and who is not, it is not your duty. If someone says they are a Muslim, you only have their word to go by. This would be a pointless exercise if all they did is seek out people that are exactly like them. I would encourage them to visit Shia mosques, Sufi centres, and other streams as well. After all, no one who actually believes in the Qur’an would have the gall to label people non-Muslim if they claim otherwise. It’s called Chrislam. And the two religions are not compatible with each other. Jesus said I am the way the truth and the light no man comes to the father but by me. unfortunately she is wasting her iman can you ride 2 car at the same time? In the book Closing the Gap by Jabril Muhammad, Minister Farrakhan said “If we understand Christ and the definition of what a Muslim is as the Honorable Elijah Muhammad taught us, and the scholars of Islam agree that, ‘A Muslim is one who submits his or her will to do the will of God’. By so doing, one is made secure because this one has entered into peace with God. If we understand Jesus Christ, he never asked the people to worship him. He demanded of his followers to follow him. So the Honorable Elijah Muhammad said, ‘A good Christian is a Muslim,’ using the definition of what is a Muslim. A good Christian, who is following Christ, in perfect obedience to God, is a Muslim. A good Muslim is a Christian, because he is also in perfect obedience to God, in oneness with God, through His Christ or His Messiah or His Messenger. …it’s her choice that matters. it’s a matter of choosing what she believes in. respect is the point here. respect her views, respect her decisions, respect her spirituality because it’s the choice she made. whatever she does that you think may be wrong, then it’s up to you to do what you think is the right thing. let her be. leave her be..
I’ve enjoyed reading your blog last year, and I was so excited to see that you were posting again this year. As I was raised Christian, but have lived in a Muslim country for the past 3+ years, I really appreciate this post and your open-minded take on this one woman’s faith journey. Thank you! And Ramadan karim and happy fasting and traveling to you both! Thank you for posting this open-minded look at one woman’s faith journey and the convergence that can happen between two religions that are very dear to a person. This gives me hope, because I was raised Lutheran, went to a Catholic university, and spent the first half of my 20s in Morocco… “Cafeteria” religion may be theologically lazy in some people’s eyes, but for some of us, it’s the only way to make peace with our various identities. “… someone who is defined by surrender and whose posture in the world is surrender” So beautifully said. The “Trinity” was not something Jesus taught. The Nicene Council came up with it after Jesus no longer walked the earth. I believe a true Muslim believes and follows what Jesus taught. Jesus said, “I know not what my father knows.” He also prayed. Why would he pray if he were God? It was human misunderstanding that created the notion that Jesus was God. Muslims do not believe Jesus is God. A true Christian should not believe it either. It is possible to be a Muslim, Christian, Hindu, Buddhist, Jew. There is such harmony in the faiths. When you submit your will to God’s will, you put God at the top of your list, and you begin to follow the teachings of all true faiths. I would just like to add that I was born to an Episcopal Christian family. As a teenager, I was essentially adopted by a Jewish family. A hindu teacher taught me more about God than anyone I’ve ever known. I took my Shahada (i.e. became Muslim) over ten years ago. Listen people, you may or may not agree with what you read here, but that doesn’t give you the right to pass judgment. You do not know what is in the hearts of others and you do not understand their struggle. InshAllah this lady will find a certain set path, or maybe she will always believe in both religions. Let God be the judge. Christianity is also an Abrahamic religion and Christians are people of the book… so stop hatin. If you don’t have anything nice to say, don’t say it! What do u suggest we do then? Just sweep these issues under the carpet? There are more than just controversial topics on this blog; you mentioned 3 out of about 30 posts? I dont think 10% is the entire blog. As for the name, a title is supposed to be creative yet vague so it doesnt give away the whole subject. Before you call something garbage realize that is was so good you actually took the tine to read it. i have read a couple of the articles, true not all. but like i said this 1 the gay imam, the would-be bomber, even the 1 abt the guy and his retired dad, they have NOTHING to do with mosques. and i think it does stir up alot of controversy, when in this month they could’ve written things that unite the ummah, not create even more disparity, and almost hatred towards those that don’t agree with us. it would have been a lovely piece if they had portrayed the beauty of mosques in this country. not sweep under carpet, but these kinda issues (like the gay imam), should be talked abt by righteous sheikhs to show that these ways are WRONG. and why they are wrong. if any joe shmoe makes posts like these, ppl will, even if the writer doesn’t agree, they will think it’s a sort of promotion to think these ways are “ok”. She might be a Christian, in the sense that she sees herself as a follower of Jesus of Nazareth, and may even view Him as the Christ, but she cannot be an Episcopalian. Can she be a Muslim and believe that Isa was al Masih? I would be interested in what someone educated in Muslim theology would say about that. allaah in quraan calls eesaa- jesus the messiah. i dont understand . these salafi’s never read their quraan, prefering to read some sheikh’s book or listen to some lecture while the book of allaah goes wasting and the example of our nabi is not adopted by the. shame on you, that you didnt know allaah calls jesus the messiah- al masee- meaning the chose or anointed one. People, read up on this woman before judging her. The amount of judgement here is astounding. Istaghfir Allah. Before she accepted Islam, she was a Christian who believed in the Oneness of God and that Jesus (ASWS) was a human. She has said the whole shahadeh, including the belief that Mohammad (SAW) was his messenger. We cannot predict what will happen with her faith. We must trust in Allah (SWT) and leave it at that. She is learning Islam as we speak. Do not judge others when you are not perfect. Allah (SWT) knows best. I am glad that this was posted. I’ve recently turned to Islam and was very faithful in it. However, I soon realised that I also love Christianity (my formal religion) equally. Therefore, I started going bakc and forth between the two. Then, I started wondering if it was possible to be both. I didn’t see the reason why the two should clash – both have their (what some would call) “errors” or faults, and they both have their perfections and goods. I don’t believe God restricts us to a single religion anyway. 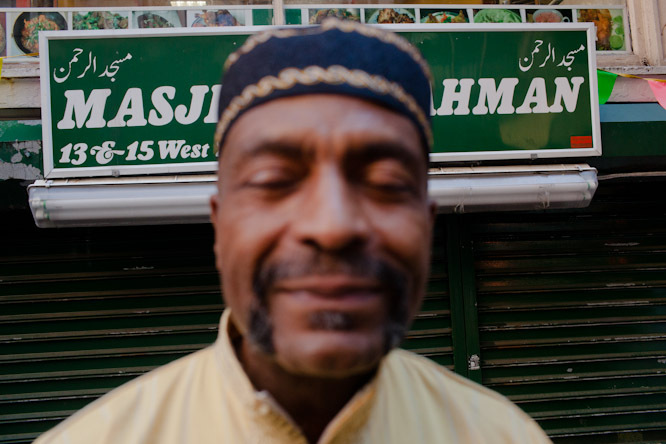 i feel you & can appreciate your story…i was christian to islam back to christian now back to islam…I hold many doctrines of both but over the past 10 years i find I have to live one or the other…if i am going to be involved in a community. for example, if i wear to go to church then go to a mosque…my church would consider that a sin…& mosque would too…but for me it’s easier to not share w/muslim brothers & sisters because when i go to the mosque i rarely get any greetings –even if I greet sisters..it is so cold & sterile..after salat that is end-everyone just disburse …visited around 7 – 10 masjids over the years…maybe there are more out there (but many in my city are unlisted…no signage..and very segregated —either all somali, pakastani, african (kenya…sengal, etc. )…and if you r not a part of the national culture…muslim or not…you really don’t fit in…i am sure if I kept trying & begging & yearning to be excepted by my fellow muslim bros & sis’ it may happen…but i always feel like they require me to give up my own culture/nationality (american..period)…to fit in..so anyway…I pretty much go to the mosque…hear the sisters whispering..then if they talk to me they are asking me 50 million questions like i am signing up for a military job…they just don’t let the conversation develop naturally & my intuition tells me they are just being nosey…i and you can tell…the comb over me like i am some animal in the zoo. i hate it! like i am some thing & not a person. i was told by another muslim (american born somali that its that i am attractive & the sisters just want to know more about me cause I look different than the rest of them…they wonder what country i am from if i am married..etc & she said often times the sisters want to weed out the competition since muslim men can have more than 1 wife (even though it is illegal in USA—people still practice…the other women are just not recognized as legal spouses)…anyway it is what it is…go to the mosque..no greeters at the door…no welcome committee :)…i would never invite my family or friends at my local mosque..it is so cold & unwelcoming…but most of the local churches are very friendly..open, welcoming & not overtly nosey (lol)…they can tell –hey here is a new face we haven’t seen before & someone takes the time to say hello…even if it’s not an usher…yes….i show myself friendly –i try too..in the mosque i speak anyway..even if not spoken to or ignored -most times it is cold but i just go pray & keep it moving…over the years i have just got tired of trying so i don’t even go to the mosque anymore…women women can pray at home so i do but i know the importance of community & fellowship w/like believers…now starting to move towards leaving islam & embracing my christian faith again…i hope this is the last change. in my heart I can hold to believes in both faiths but it is becoming mental & spiritual war…i cannot (personally) reconcile the two –not without abandoning both altogether so in order to avoid not practicing any faith…i feel like i must choose (or allow the Lord to guide me into His Truth) that is all i can do …I just feel it is about a personal relationship with G-d…all this man-made stuff is wearing me out..including my own stuff so I just pray in the end me & my family are saved…that G-d is pleased with me & my life. amen. praying all come to live out the faith fully and completely…not because of what others think you should do or should be…but because (in your heart of hearts)…you know that is where G-d wants you to be (the path He has for you) & what G-d wants for us…& I know this much..G-d loves me & He loves all His creation & wants the best for us all…His Mercy is enduring. Amen. Ps if you are sincere I respectfully solicit your prayers thank you. I admire her faith and strenth because she made her belief more about God than a religion. Ann, you should read the book The Beloved and I: New Jubilees Version (Translation of the Bible and contemplation of the Qur’an by Thomas McElwain. Being a Muslim and shalat, but read Bible like a Christian and observe Sabbath like Jew, you could perhaps join us in the Dawoodiyya. Hehehe. mr aman, salaam and thanks for the article.small minds think in little boxes inside even smaller boxes. i really thought that people would have found out that there are other thought in the world besides theirs. i’m not talking about rightness or wrongness. we can bring all the texts on either side of the divide and it still will not bring this woman to choose one above the other. we must get to know that other thoughts abound in the universe. use these differences to firm up your own faith and not try to show off your special theocratic or eschatology skills. many zealots are in fact unsure of their beliefs and try to cover that up by being excessive. i’ve been on this earth quite a while and the majority of them burn out after a few years and shaitaan takes them back to the world from which they came. or they take on some new doctrine in place of the one they were so zealous of before. think of the salafiis of today and where they were yestertday. think of the ansaru allah and where they are today and you get the point. ask most of these salafiis if they have EVER read the book of allaah cover to cover and they will-if they are truthful admit NO. but they have read every sheikh’s book and listened to every lecture that some american based sheikh did. i just have to smile. so thanks for the discourse and may allaah curb the tounges of the waggers. listen twice as much as you talk. you have 1 mouth and 2 ears. remember kidr and musaa. allaah did not waste words in the quraan to tell you the story. I am a Muslim and a Master Mason I’m Brother Sufi, I’ve been fighting in the name of Allah within this organization for most ofthe 20 years on my mission, for eight years I by Allah have been standing up agaisnt discrimination of Muslims wishing to take part in Christian Services. Just this year I was appointed Grand Chaplin and in the same breath I was not allowed to take part in an annual Chruch service, of which now I have to address on the benefit of others of other religions or else this type of discrimination will be allowed, to countinue. By Allah I must find this Sister in Seattle to seek more light on the subject, for if it is the will of Allah I will be victorious in finding some common groud or this has to be revieled on a national level. things you can do to improve y0ur ranking. But it seems Memorial Day wasn’t important enough to Google. Whilst I live in South america , I personally continue to create him or her each day. These are like my personal コーチ, concerning the proverb classic excessive. Those are the preferred i’ll provide it everywhere you look. IM providing Them all At this time !